Geoff's career started as a high school teacher in Newfoundland, followed by 10 years as a weather forecaster with the Meteorological Service of Canada (MSC - MT Course 23, 1966-67), 12 years as a research scientist with Alberta Research Council Hail Project, and 11 years as a research scientist with the MSC at the National Hydrology Research Centre in Saskatoon. His love of weather and severe storms lead him into graduate studies at the University of Alberta in 1972, where Alberta thunderstorms became a life-long love affair. He has extensive experience in field research on storms and atmospheric moisture, including major field programs in Alberta, Saskatchewan, the NWT, Montana, and Greece, splitting his career between EC in eastern Canada and Saskatoon, and with the Alberta Research Council Hail Project in Alberta. 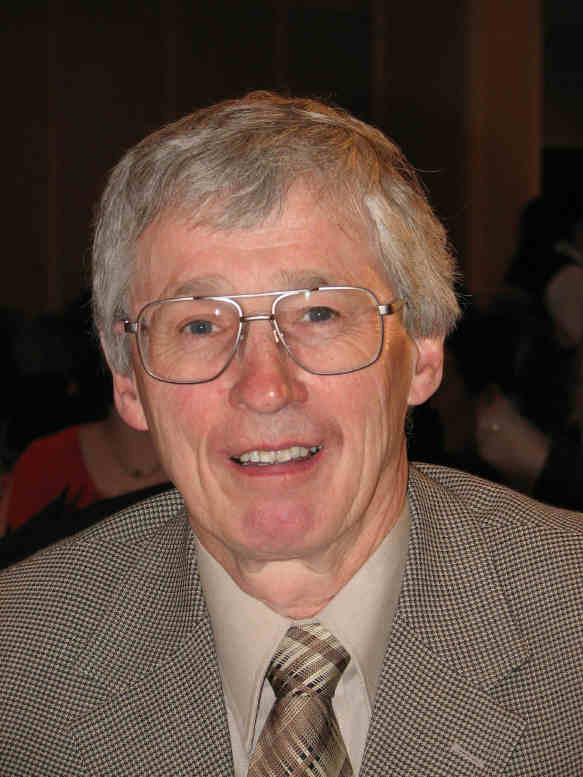 Following retirement from EC in 1998, Geoff returned to Alberta to resume free-lance research on thunderstorms, atmospheric moisture, drought, and climatic cycles. Other endeavours include teaching university courses in meteorology and physical geography in Edmonton, and supervising graduate student research at the UofA where he is an adjunct professor. He also provides leadership in outreach and environmental stewardship programs within the Anglican Church in Edmonton. Geoff is too busy to plan for any second retirement, and most leisure time is spent with his dogs and seven grandchildren, mountain backpacking, storm chasing over the Alberta foothills, storm photography, maintaining their acreage, or just reading. Geoff completed his B. Sc (Mathematics) at Memorial University in 1966; an M. Sc (Meteorology) at University of Alberta in 1974; and a Ph. D (Meteorology) at University of Alberta, 1986.